Impact assessment is a fast-growing field that generates a lot of interest. But it can come across as a daunting and complex topic. This playbook was developed to take you by the hand, introduce you to the language, and help you make some strategic choices. Verwayen, H, Fellon, J, Schellenberg, J, Panagiotis, K, Daley, B, Verheijke, E, … Truyen, F. (2017). 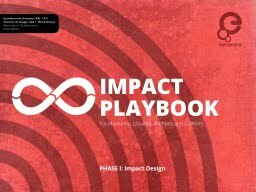 Europeana Impact Playbook. Europeana Foundation.